There are still a lot of European (German etc) & South American directories which are appearing even when the language selected is English. Oh okay. It needs to be manually mark as specific language directories. We will release new version of directory package soon and we wil do it in it. 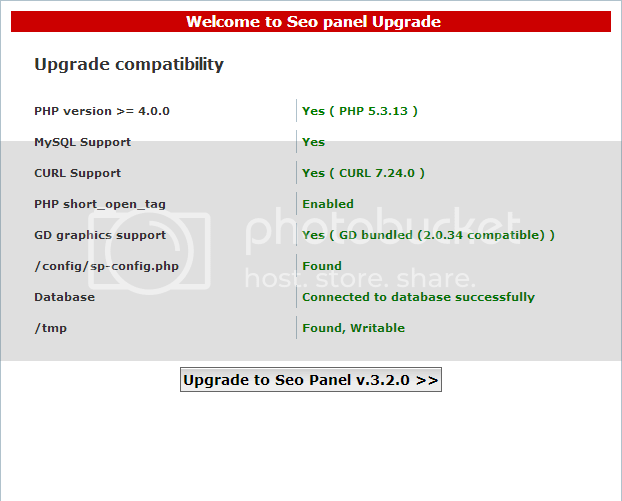 We have released new version of seo panel last Monday. have you checked it? How do I check the current version of SEO Panel? Anyway if you click on the button it wil upgrade to 3.3.0. I clicked on the button and it remains at 3.2.0. I don't see why renaming the sample config file to the working config file will work - it won't contain the correct database details. I used the old config file in its place. That will also fix the issue.